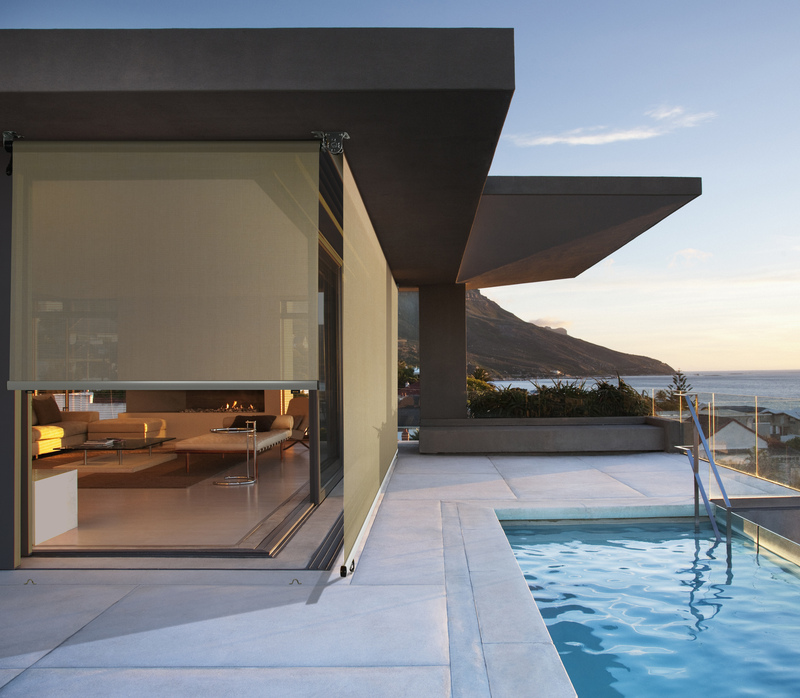 New Zealanders have a great love of creating outdoor living areas. We really enjoy the opportunity to spend time dining and entertaining outside. However, the weather is not always in synch with our plans! 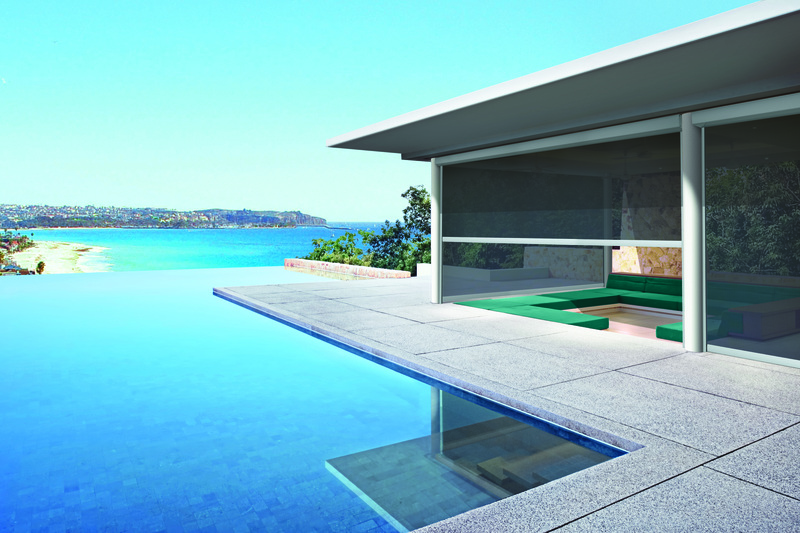 Because of this, more people are looking at ways to enclose their outdoor spaces for both weather protection and privacy. 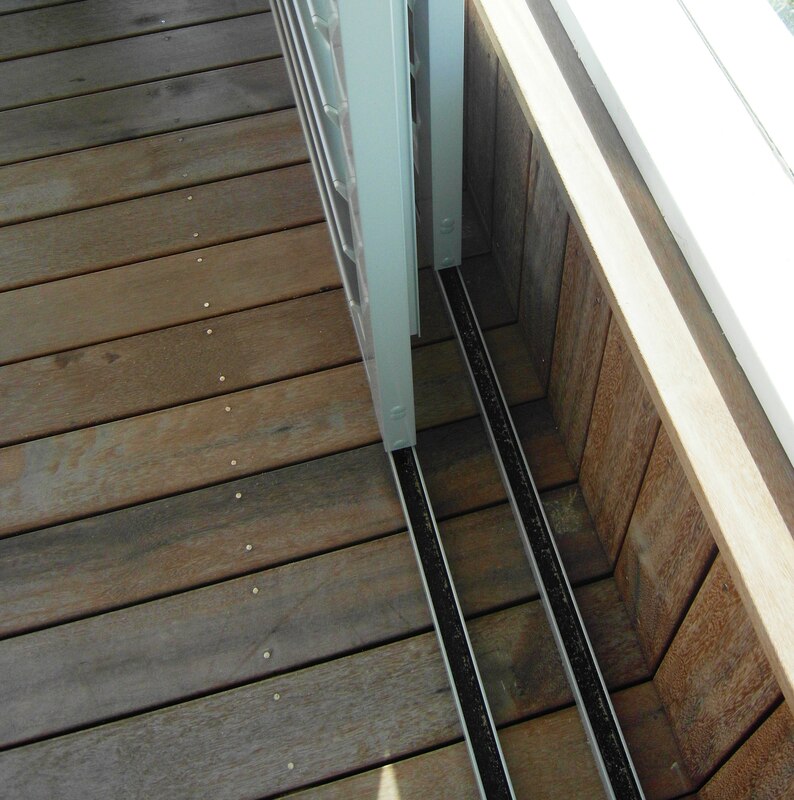 The perfect way to do this is with exterior screens, shutters, and awnings. 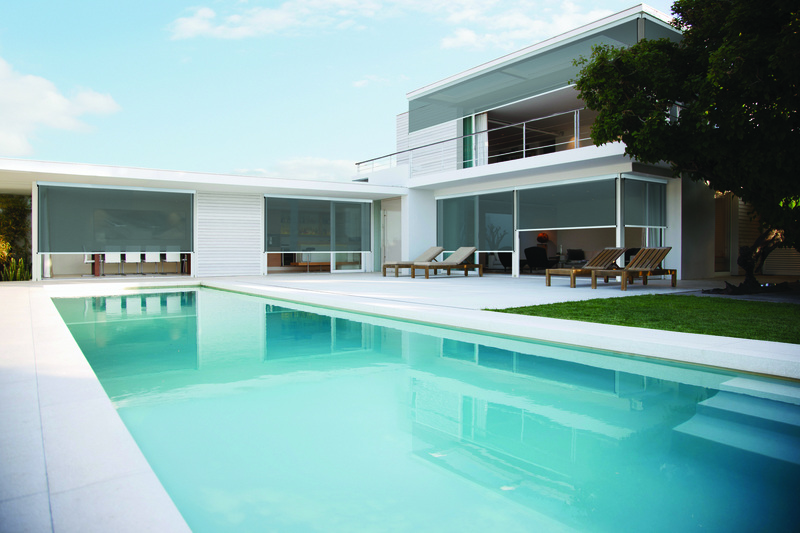 All will provide stylish protection and are guaranteed to add value and style to your home. 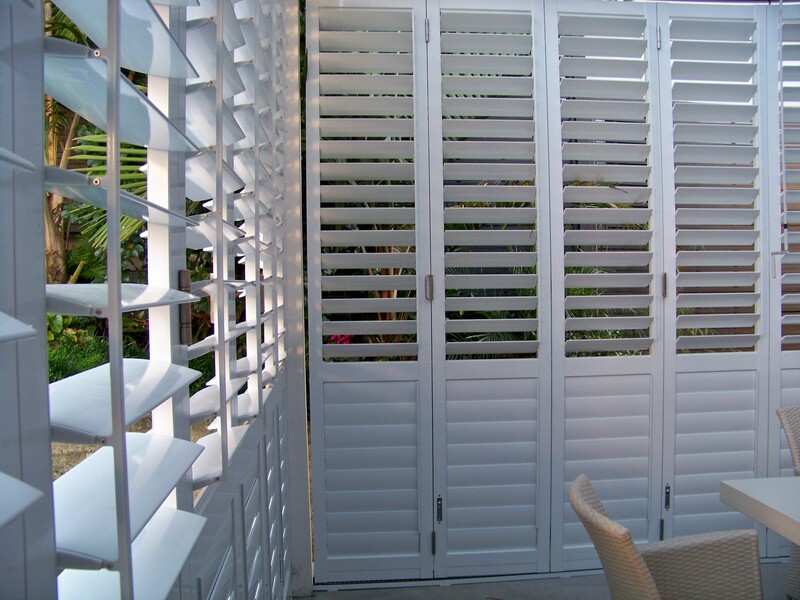 You can create that special outdoor dining and entertaining area using either timber or aluminium shutters. Shutters can also be used on the exterior of our homes as decorative panels or sliding over windows and doors to create privacy and weather protection. Exterior shutters are ideal for all weather conditions. Aluminium Exterior Shutters are secure and their sleek design and stylish good looks make them ideal for both traditional and contemporary settings. 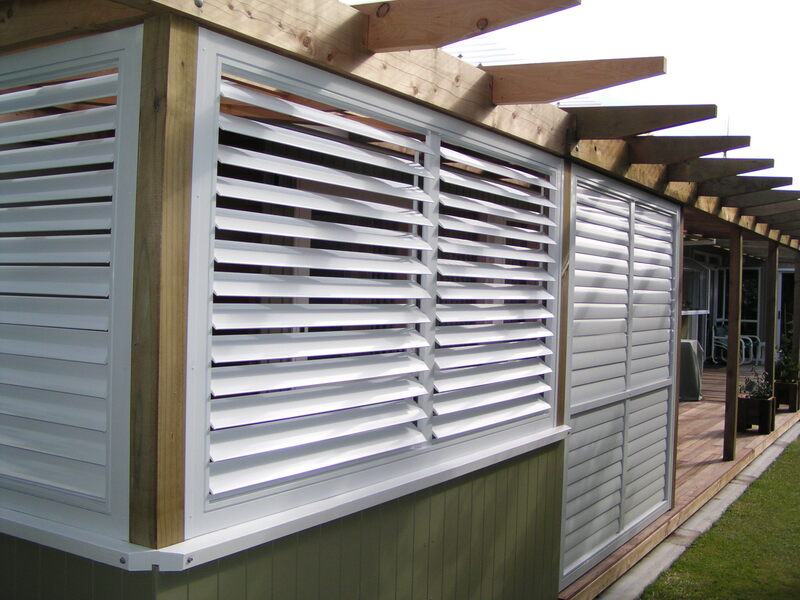 Made from powder-coated reinforced aluminium, the shutters are available in hinged, sliding or bi-fold designs. 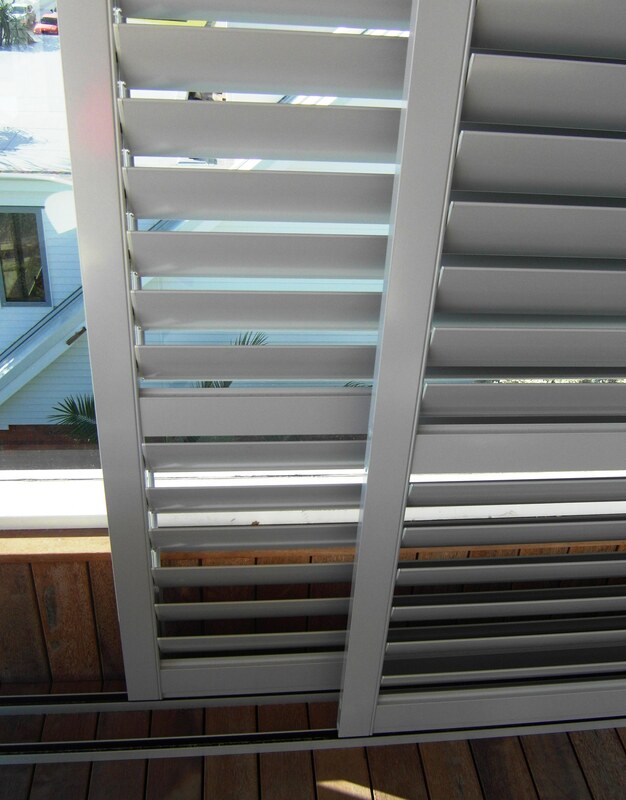 Aluminium shutters are superior to timber because they will not crack, shrink or warp. 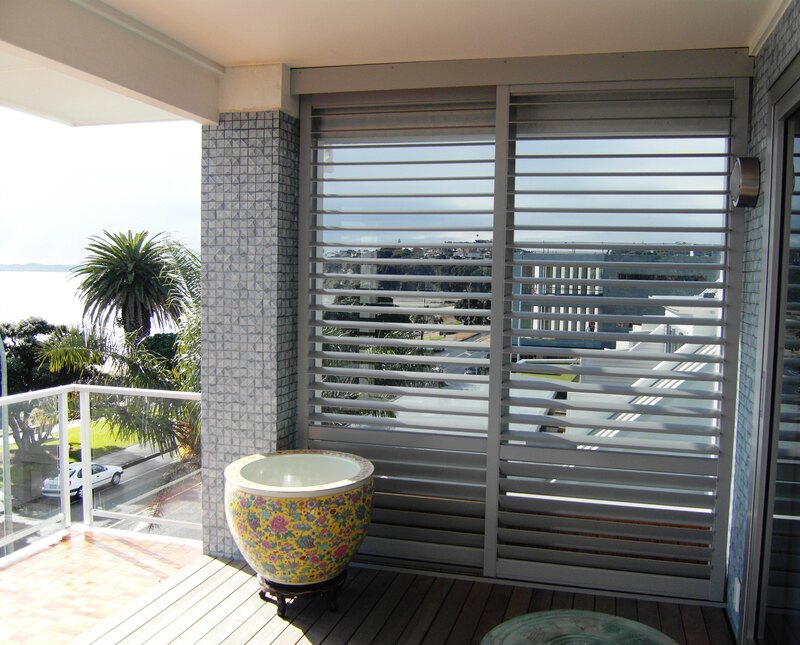 Wooden Exterior Shutters are manufactured in New Zealand from sustainable Western Red Cedar. Each is handcrafted by a team of dedicated shutter craftsmen and are guaranteed to become a lasting investment for your home. Make an appointment with one of our Design Consultants today to discuss exterior shutter options to maximize your outdoor living space. Fresh Air Relaxation in any Weather! The Luxaflex Evo External Screen System represents the latest in design, styling and functionality. Evo Screens provide excellent protection from the elements. Sun, wind, rain & insects need not put a ‘dampener’ on our outdoor entertaining arrangements. 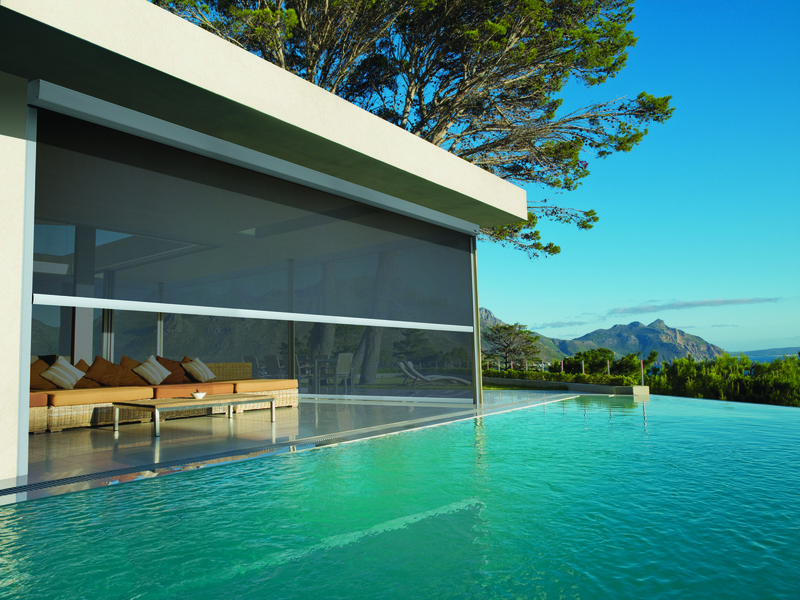 Offering a full suite of External Screen systems including: Cable Guide, Side Tension Channel and Straight Drop, the Luxaflex Evo External Screen Range offers an aesthetically appealing look and perfect solution to meet every customer’s need. 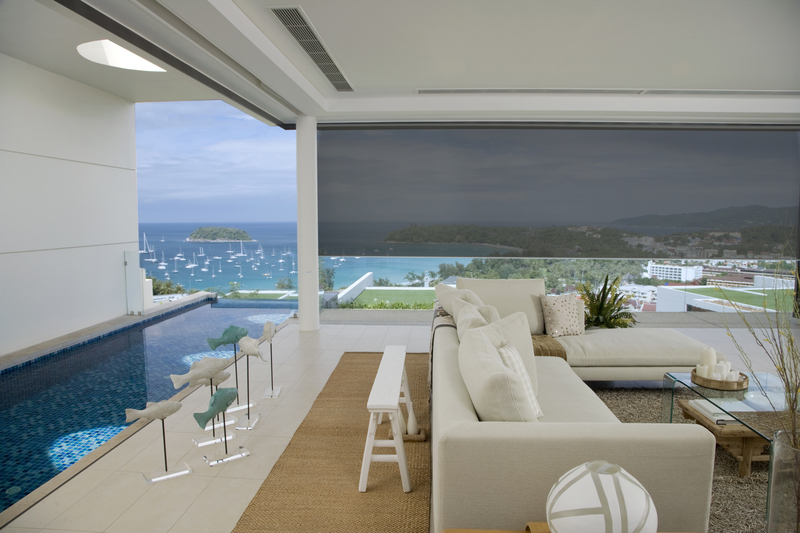 Screens can be automated so they are operated by the touch of a button, wall switch control or integrated into home automation systems. A range of motor solutions include the Automatic Tensioning function as well as sun and wind sensors. Alternatively, screens can be manually operated with a Crank Handle. The 9:1 ratio gear ensures easy operation that is not dependent on the user’s strength. Three fabric type options are available in the EVO Screen range. An open weave mesh which allows airflow and visibility, solid canvas providing privacy and increased protection from the elements or clear PVC material for unrestricted view and full protection. WDI consultants are fully trained to help provide solutions, based on client brief and product suitability. They will visit your home and provide a comprehensive FREE measure and quotation. Call us today! 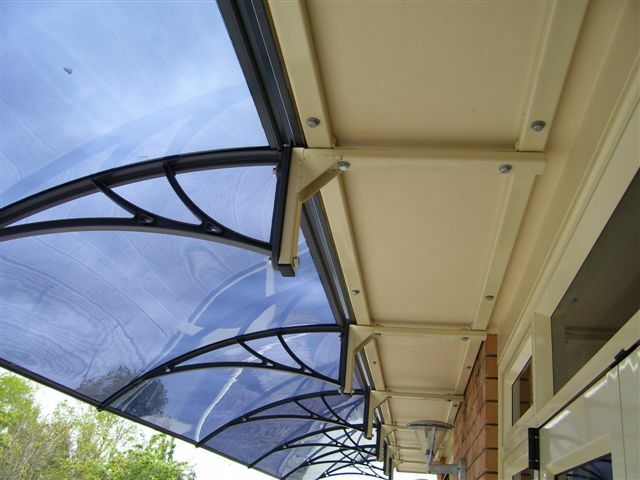 Awnings are used in both residential and commercial applications. They offer weather protection including shelter and shade as well as providing an aesthetically pleasing entrance to our homes and/or businesses. They can present an ideal marketing opportunity in commercial situations for branding. 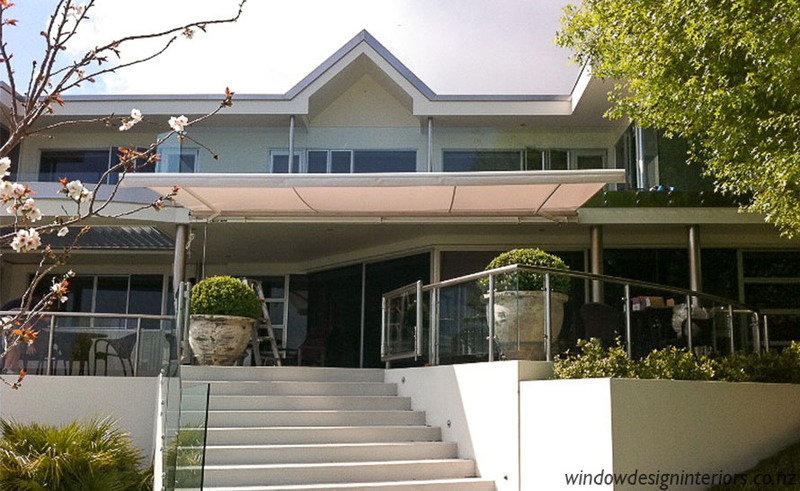 Canopy Awnings are a fixed rigid awning, suitable for residential and commercial applications. They are constructed to survive extreme weather. 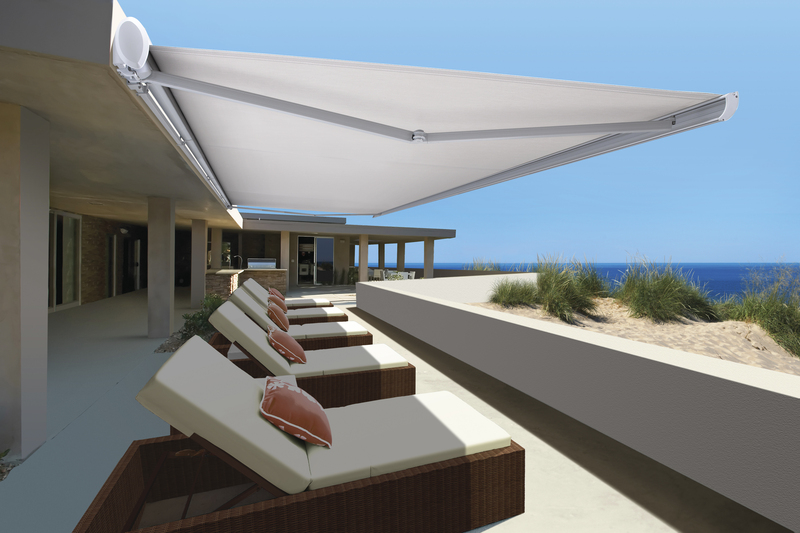 They offer shade, UV screening and shelter from heat, cold, driving wind and rain. 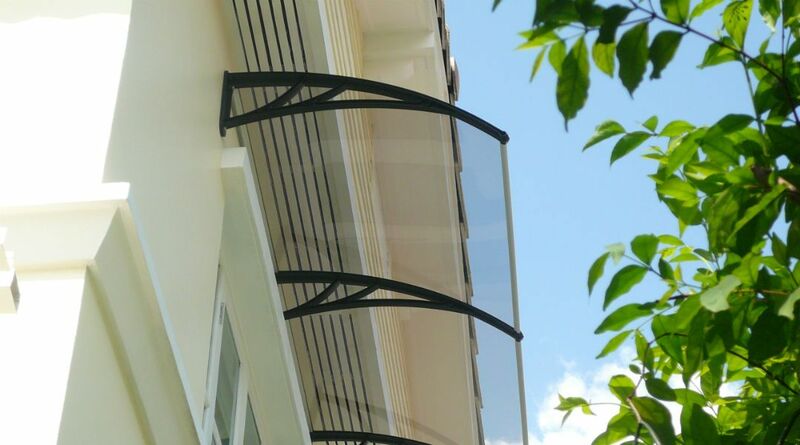 The Canopy Awning can be installed into wood, brick or concrete and are available in a clear or smoked polycarbonate finish. 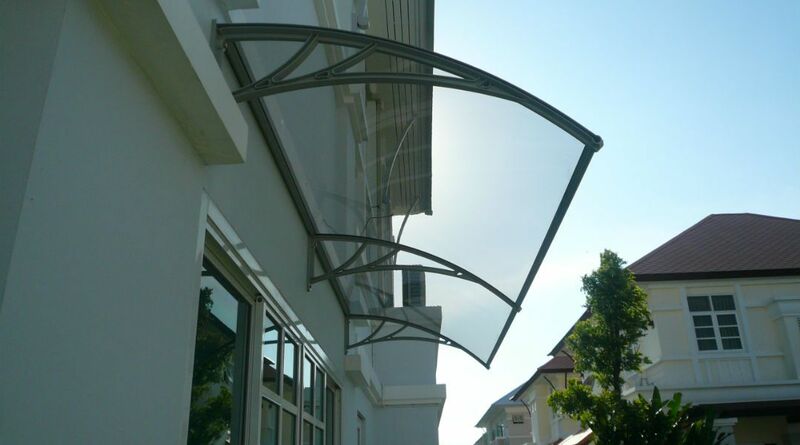 WDI consultants are fully trained to help provide awning solutions, based on client brief and product suitability. They will visit your home and provide a comprehensive FREE measure and quotation. Call us today! 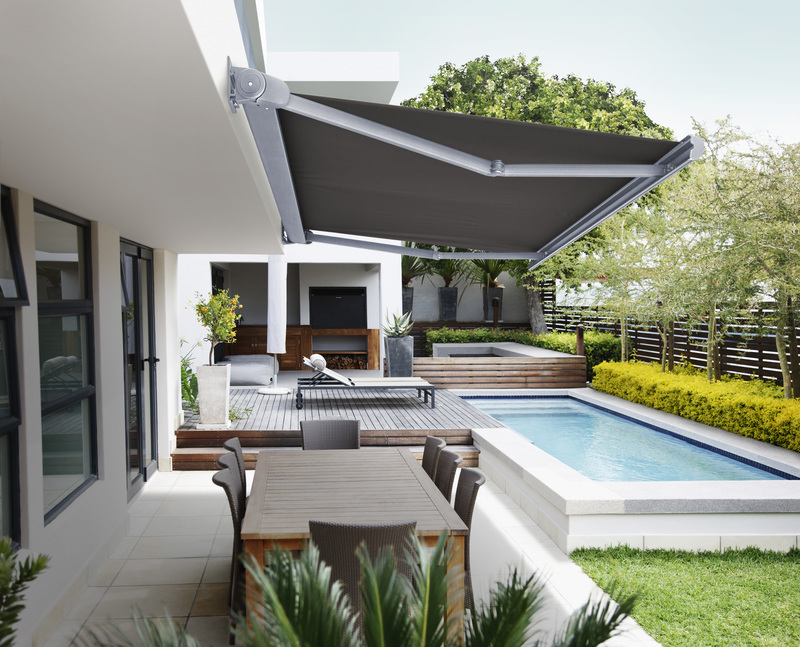 Fabric Awnings offer extended weather protection to our outdoor spaces, shielding us from the elements by offering shelter and shade. 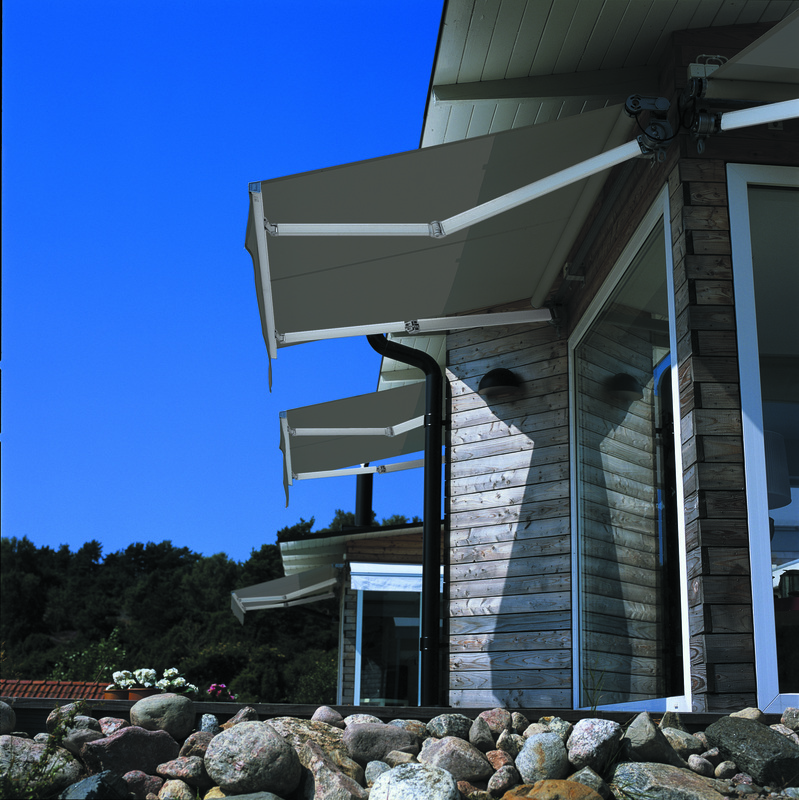 Large retractable folding arm awnings are most suitable for deck and patio areas – extending our all-weather spaces. 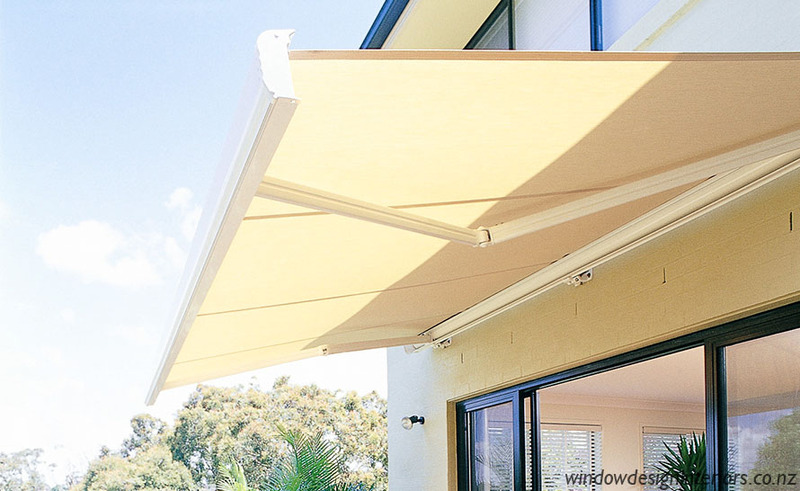 These Awnings can be extended and retracted or rolled by manual crank handle operation, or the convenience of motorised operation with remote or wall switch control. 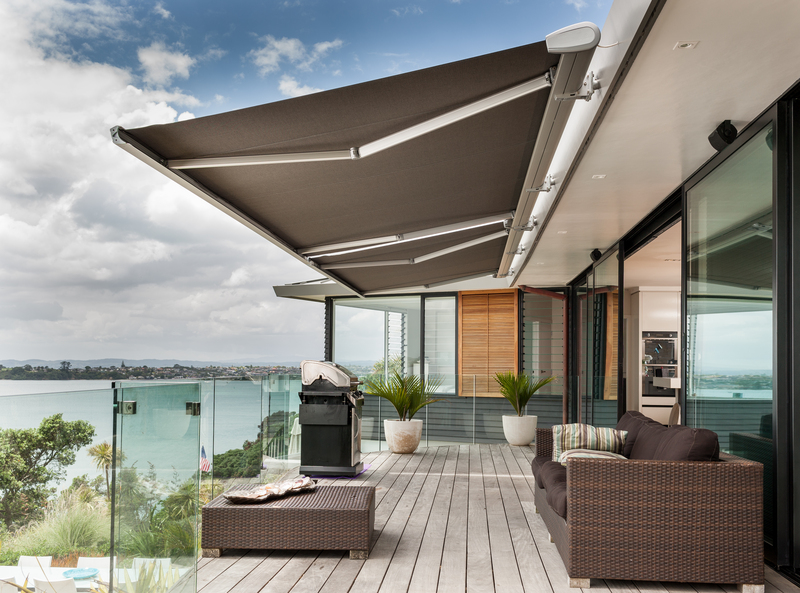 We can also have programmed automatic control, which means awnings will operate in response to the weather via sun/wind sensors, or your specific programmed requirements. 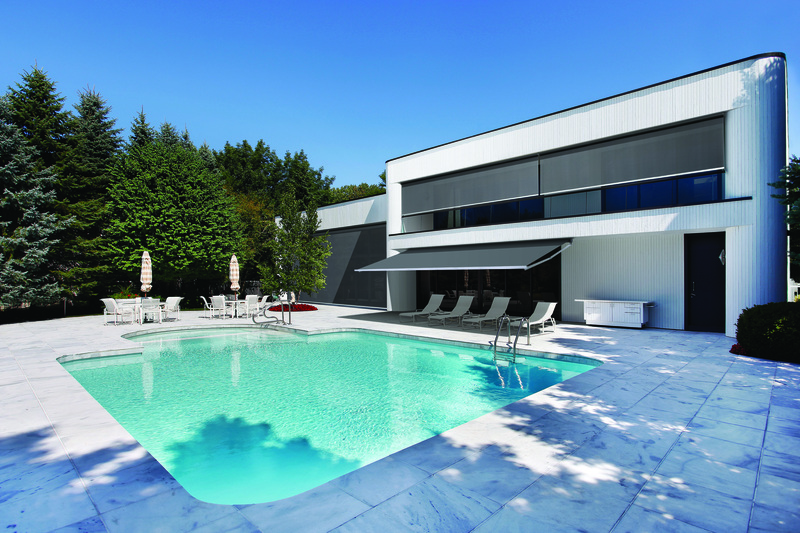 Only robust, corrosion-resistant components and durable fade-resistant fabrics are used in the manufacture Luxaflex Fabric Awnings. The high performance fabrics are treated to resist mould and mildew, which makes them easy to keep clean, and are designed to withstand the harsh New Zealand UV.